Amazon Price: $6.10 (as of April 26, 2019 8:30 am - Details). Product prices and availability are accurate as of the date/time indicated and are subject to change. Any price and availability information displayed on the Amazon site at the time of purchase will apply to the purchase of this product. 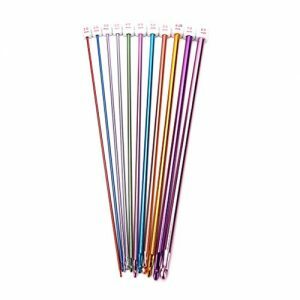 This Clover 1057/NP 10.0mm Amour Crochet hook jumbo size is perfect for bulky and super bulky yarns. 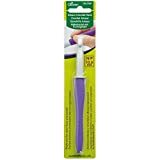 It features a fun color coded by size easy grip handle in Bright Purple. The optimal hook shape is designed for super smooth crocheting. 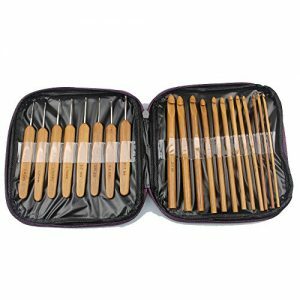 All Amour Crochet hooks from Clover are easy to hold on to, warm to the touch and give the user hours of enjoyable needlework creativity.